I've been pretty busy in the sewing room this week (and long weekend). 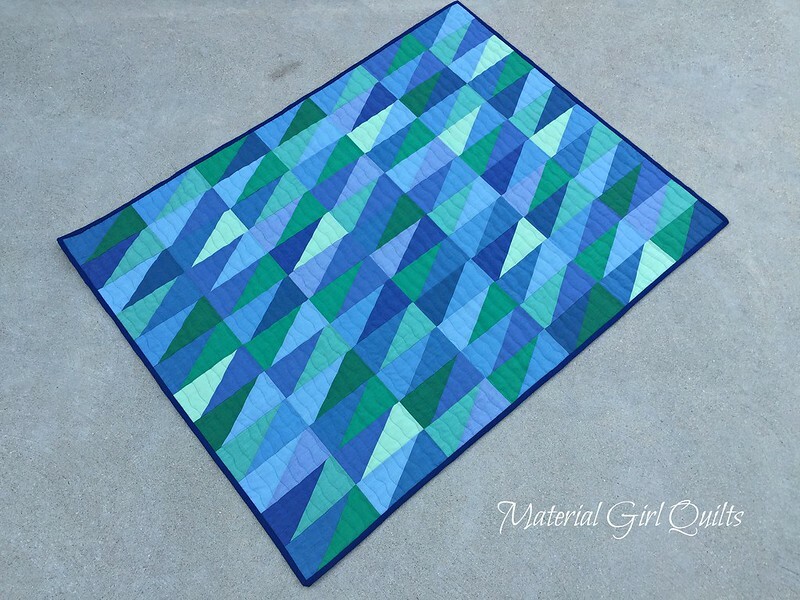 As a result I was able to finish this Oakshott Baby Blues quilt. 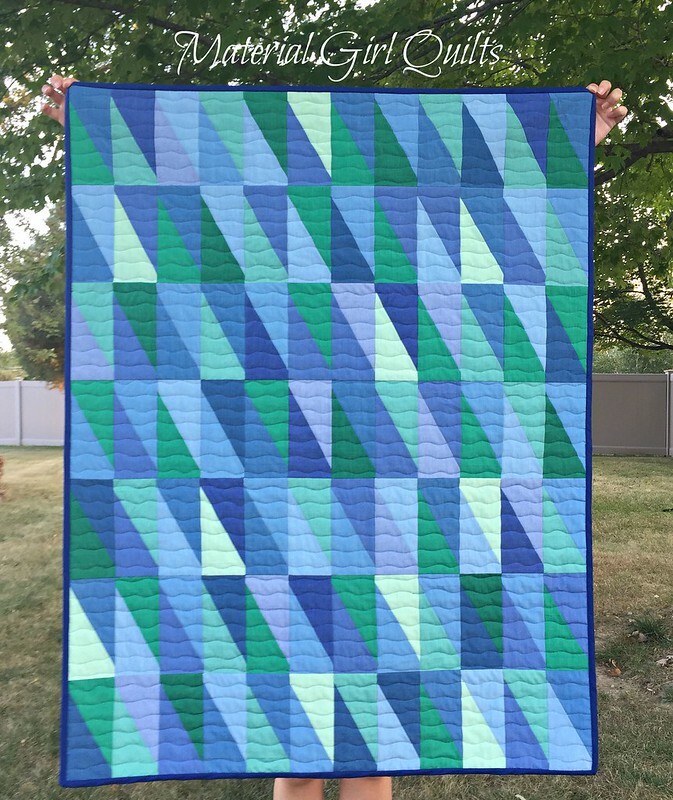 I am in absolute love with the colors of this quilt. 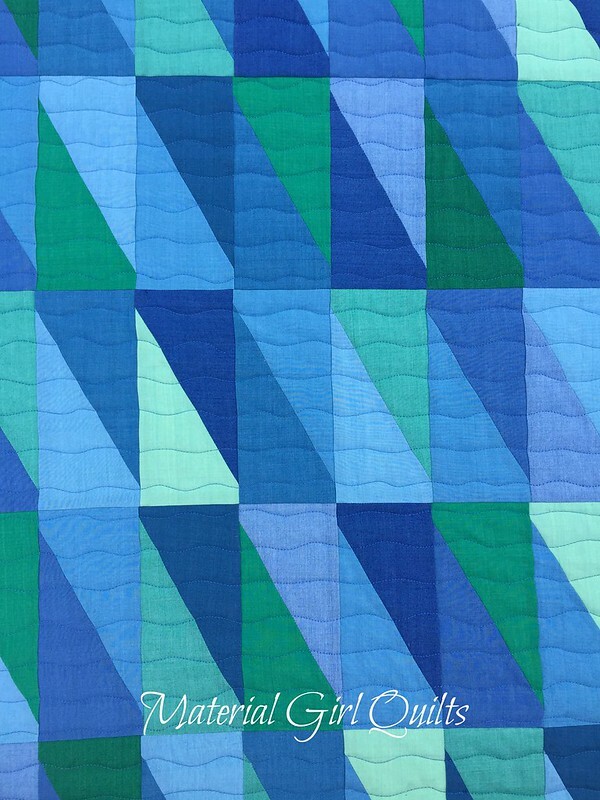 As one person on Instagram stated, it looks like the beautiful shades of sea glass. Oh how I would love to find some of that one day! 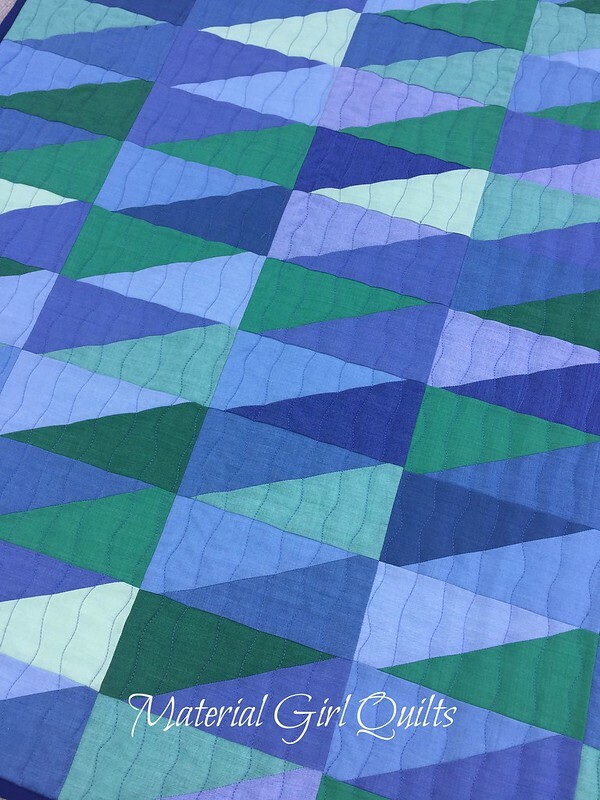 I opted for my new favorite (and super quick) wavy line quilting using Aurifil 50 wt. 1128 (light blue violet) on the top and 2740 (dark cobalt) in the bobbin. 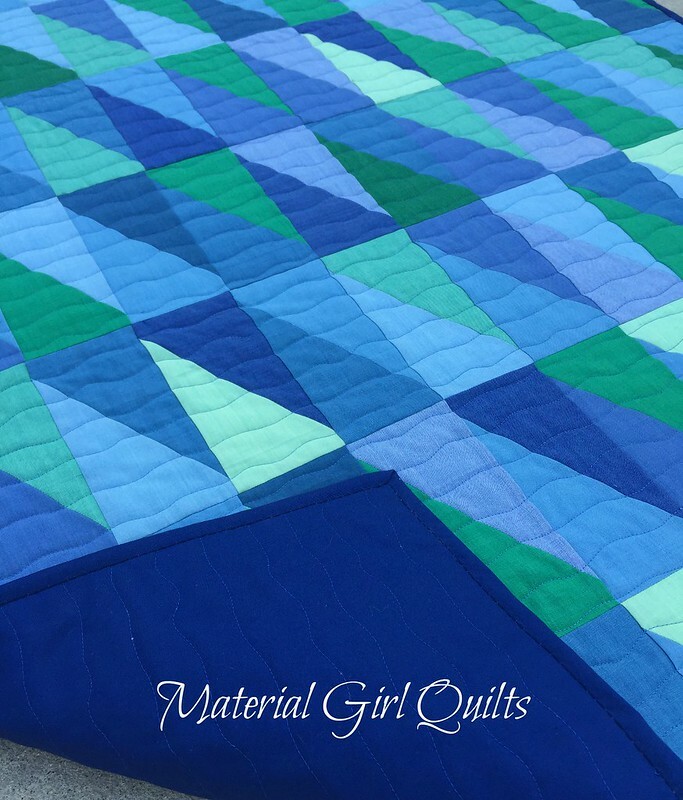 It gives the quilt a wavy water like feel. 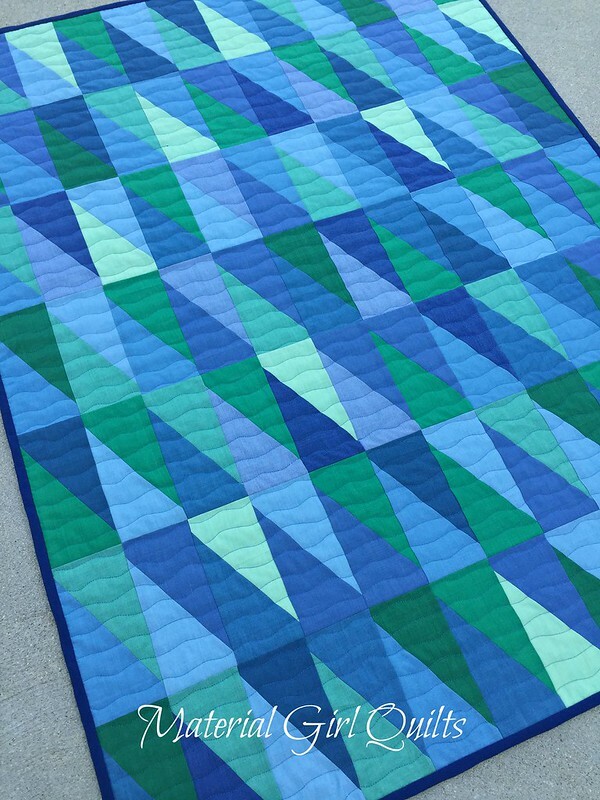 The quilt finishes at 36" x 47" and will hopefully be a perfect size for little baby. For the back and binding I used Moda Bella solid in Royal (9900 19). It's a bit darker than any of the Oakshott shades, but puts a nice frame on this finish. I promise to be back later this week to share more of what I've been working on.